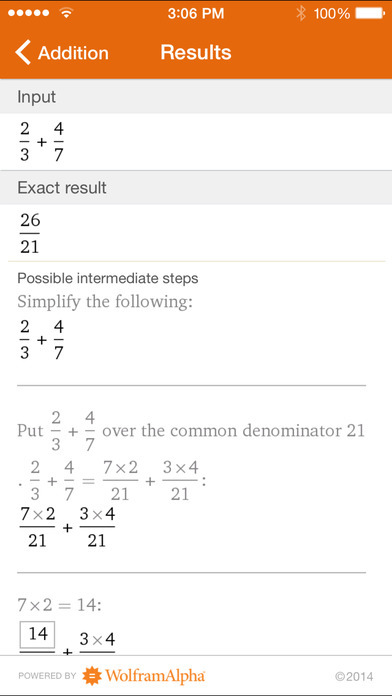 Learning fractions? 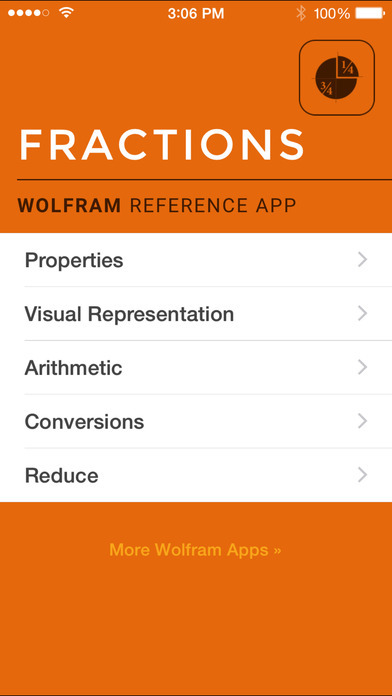 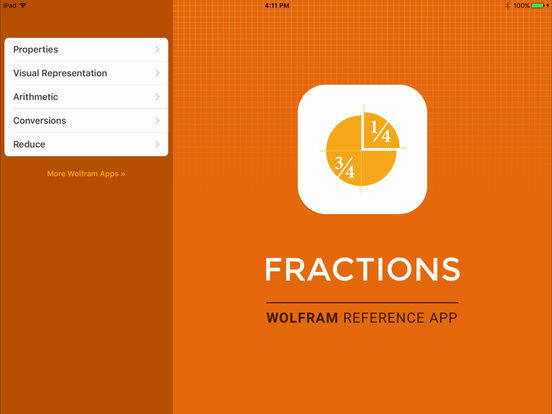 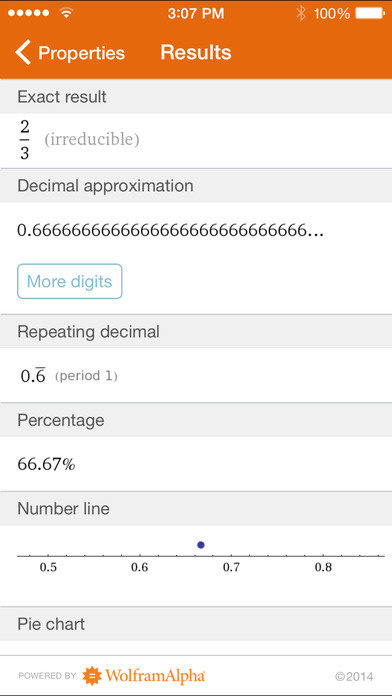 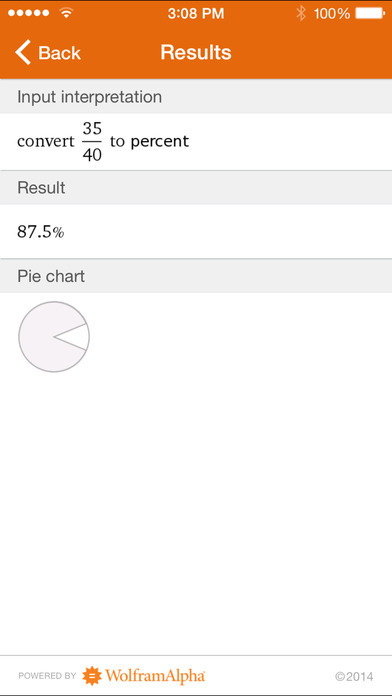 Then you need the Wolfram Fractions Reference App. 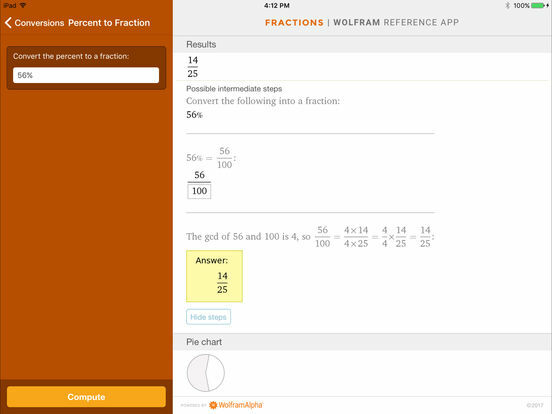 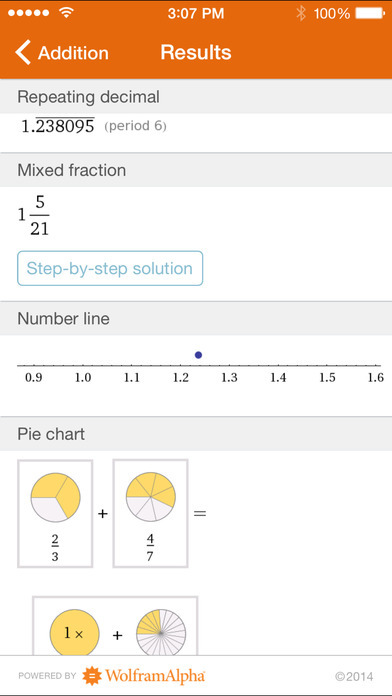 Whether adding, subtracting, or converting fractions, the Wolfram Fractions Reference App will help you with your specific fraction problems. 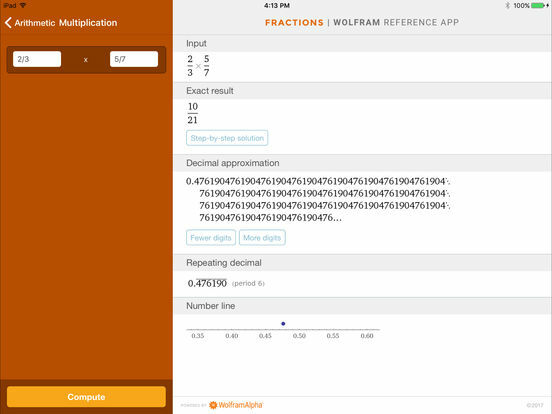 Wolfram|Alpha computational knowledge engine and is created by Wolfram Research, makers of Mathematica—the world's leading software system for mathematical research and education. 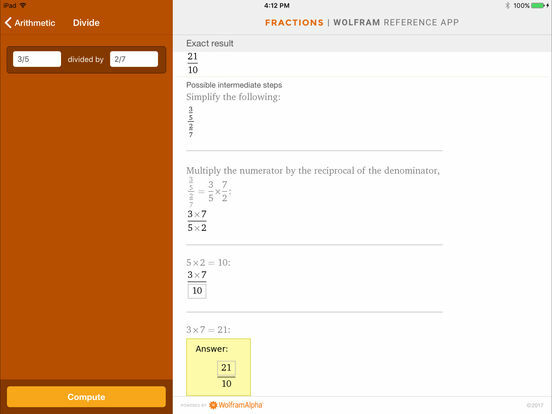 The Wolfram Fractions Reference App draws on the computational power of Wolfram|Alpha's supercomputers over a 3G, 4G, or Wi-Fi connection.